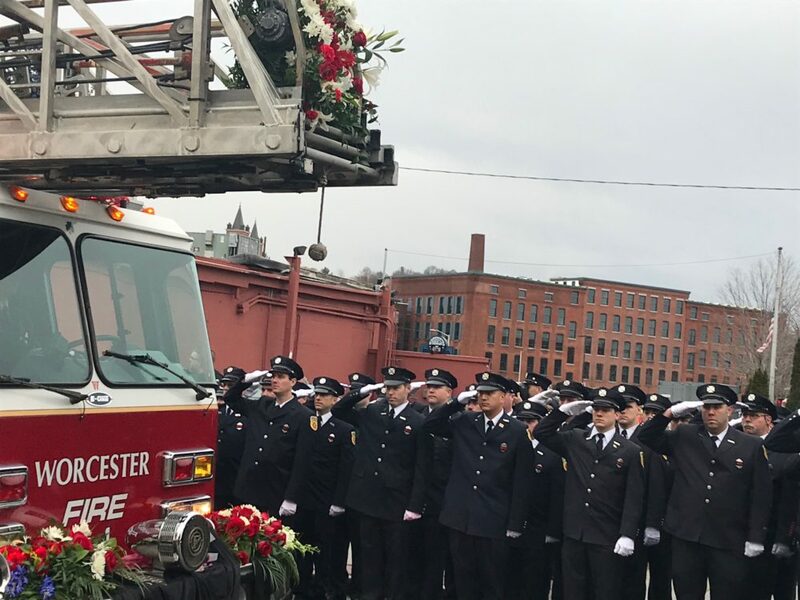 A procession of bagpipes and hundreds of firefighters from across the state marched toward St. John's Church in Worcester under an American flag hoisted by two ladder firetrucks on Saturday morning to honor a fallen member of their ranks. 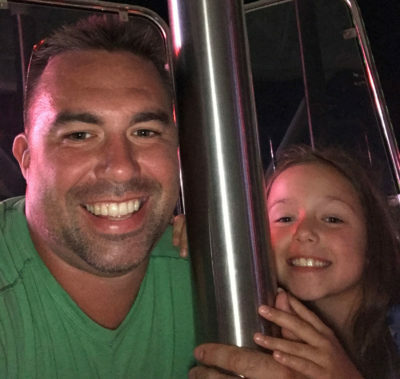 The cavalcade was there for Christopher Roy, of the Worcester Fire Department, who died last Sunday after being badly injured in the line of duty. He was 36. Fellow firefighter Art Williamson, a 32-year veteran of the West Springfield Fire Department, said funerals are really one of the few times he ever considers the dangers of his line of work. "You don't bring that thought forward, because you wouldn't do your job," he said. "We're here for the protection of life and property. It's what we do." Roy joined Worcester Fire in 2016, so his time with the department was limited. But to Williamson, Roy gave more than a lot of firefighters have. He said dying in the line of duty becomes a possibility as soon as you are sworn in. "This is a card you've been dealt when you raise your right hand," Williamson said. "Whether this card gets played or not — hopefully that stays in the deck." Williamson said Roy's is one of many funerals he's attended — "too many to count" — since he became a firefighter. He recalled the fire that took the lives of six firefighters in Worcester back on Dec 3, 1999. "It's unfortunately another December where we're here in Worcester," Williamson said. Roy was eulogized by three firefighters. One, David Scavone, had been friends with Roy since high school. "He literally exemplified friendship," Scavone said. "He put others before himself, he could move a mountain with a smile. Roy had so many friends. It's hard to comprehend, because he was so down to earth and he was so easy to get along with." Roy leaves behind a 9-year-old daughter, Ava. Firefighters there vowed to make sure that she's financially and emotionally taken care of. Sean Sullivan, who also eulogized Roy, wanted to give Ava a message from her dad. "You were your father's world," he told Ava, who sat in the front row of the church. "He is so proud of you and will continue to be. He will always be in your life and your heart, watching over you from heaven." So many firefighters showed up that scores had to stand in a parking lot across the street while audio of the service played from speakers. A flag of the thin red line — a symbol to commemorate firefighters who die in the line of duty — waved above. Glenn Trevallion, who was with the Wilbraham Fire Department for 33 years, stood outside. His son, who worked with Roy, was in the church. Trevallion brought his 9-year-old grandson, who is friends with Roy's daughter. "I've been here a few times. Always too many," he said. "It's a dangerous job. You do what you can do to do your job and that's what it comes to — to help everybody." Trevallion's grandson wants to be a firefighter. Trevallion said he gets comfort in knowing that firefighters get good training. But Fran Horuzeck, a Worcester resident who came to pay his respects, wondered if the training or equipment for firefighters could be better. "In this day and age, you would think there'd be better safety precautions," he said. "We've lived through this a number of times in the city and it's so sad that these guys risk their lives to help people and something tragic like this happens." Horuzeck said he hopes something like this never happens again. But for the hundreds of firefighters who came to pay their respects for Christopher Roy, for whom the bells tolled Saturday, they know that their lives are on the line with every call. This segment aired on December 16, 2018. 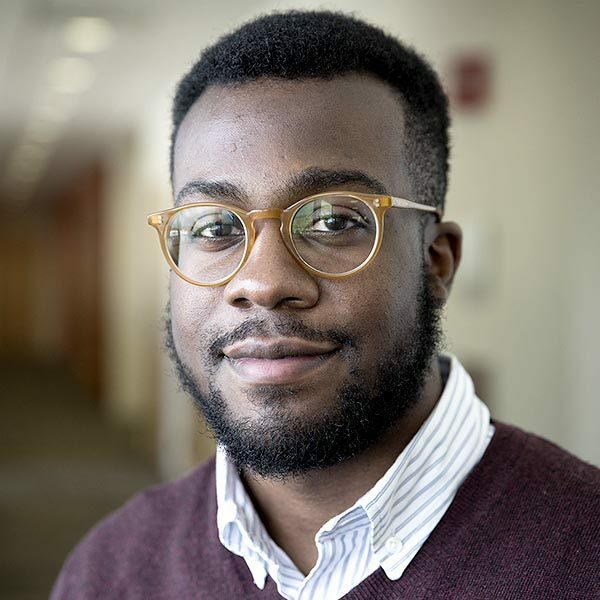 Quincy Walters is a general assignment reporter for WBUR.